Making first aid a part of everybody's life. This course is designed for persons who are responsible to erect the scaffolds safely and compliant with standard requirements and for those who are responsible to supervise the scaffolding work and inspection of scaffolds. This course comprises of an in-depth approach to learn safety requirements for scaffold as per standard/s. These training programs are based on US Standards like OSHA General Industry Standard Guidelines and ANSI Standard. Participants will have an in-depth understanding of Safety Requirements and Standard Guidelines to build safer scaffolds. This course will help participants to gain knowledge and skills necessary to build safe scaffolds for work at height. Get familiar with OSHA General Industry Standard and ANSI Standard for Scaffolds erection. Participants will be competent to assess the situation and requirements of scaffold structure. Participants will have the ability to assess the risks and requirements needed for safe erection and safely working at height. 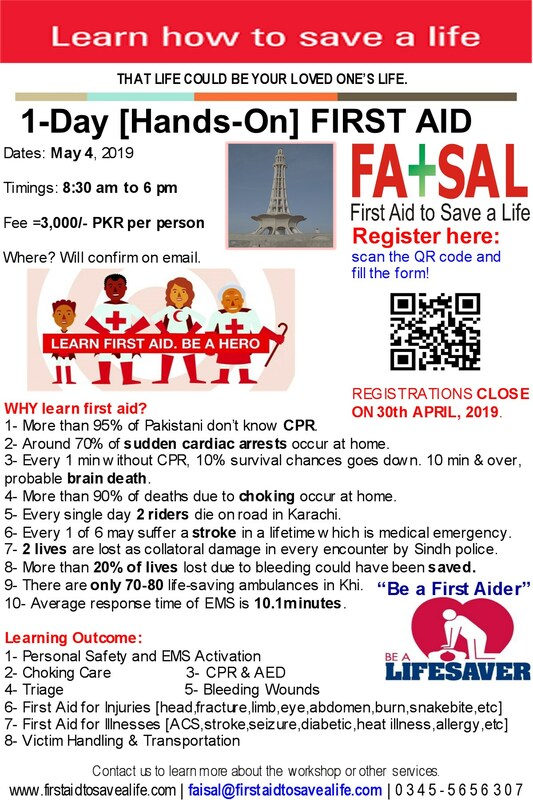 In-House Tailor Made Training: If you have a number of delegates with similar training needs or want to add this training in our yearly (employees) training calendar, First Aid to Save a Life (FATSAL) Pakistan also offers cost-effective in-house or on-site training solutions. The course can be tailor-made to suit your specific industry requirements. Training Schedule: Visit our upcoming trainings calendar for details of scheduled open enrollment training programs. First read "Notice of Rights". Is your workplace First Aid READY? Life Saving Tips are 1 Click Away!